Arkansas is in a unique position in the barbecue world. 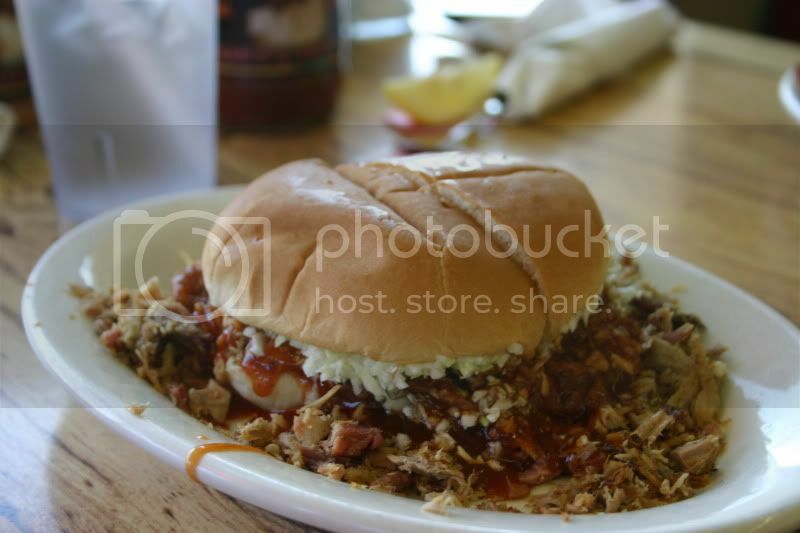 It's located right in between Missouri, Tennessee and Texas, which contain some of the country's great barbecue meccas. 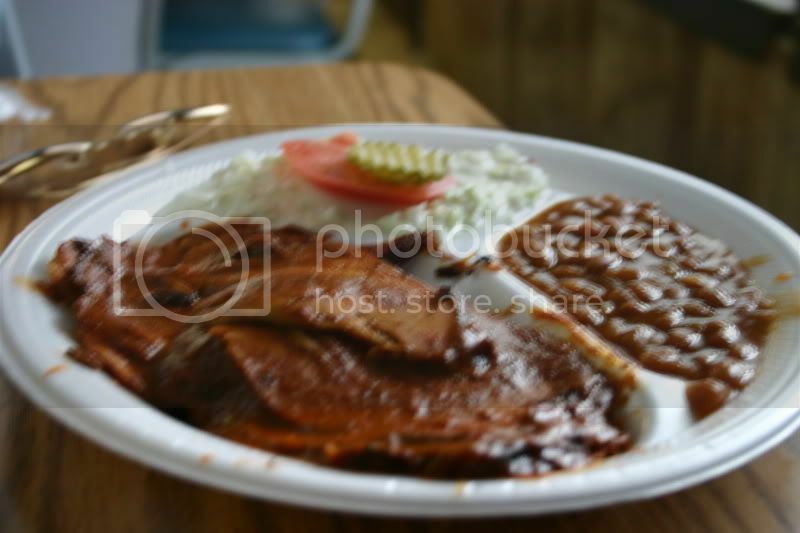 But Arkansas itself remains relatively unheralded as a barbecue destination. 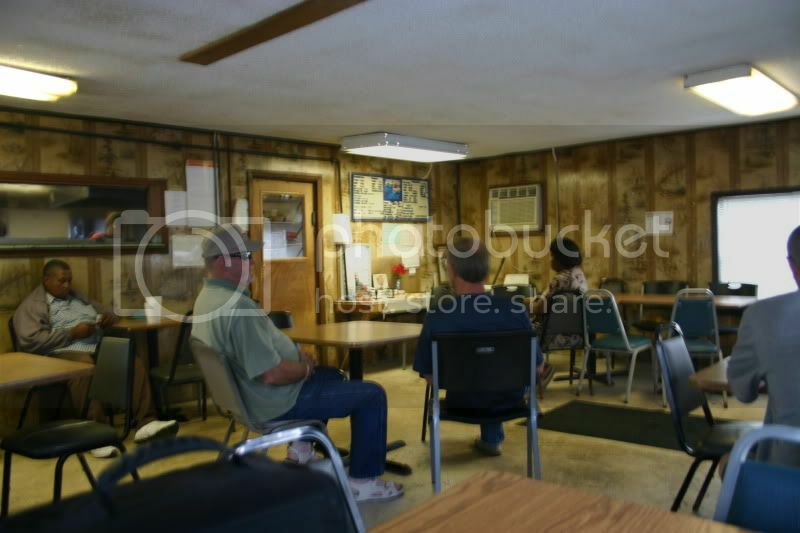 I set out for the weekend with my buddy Jeff to see how the barbecue in Arkansas stacks up. Our first stop was Hot Springs, home of bathhouses and Bill Clinton's boyhood home. 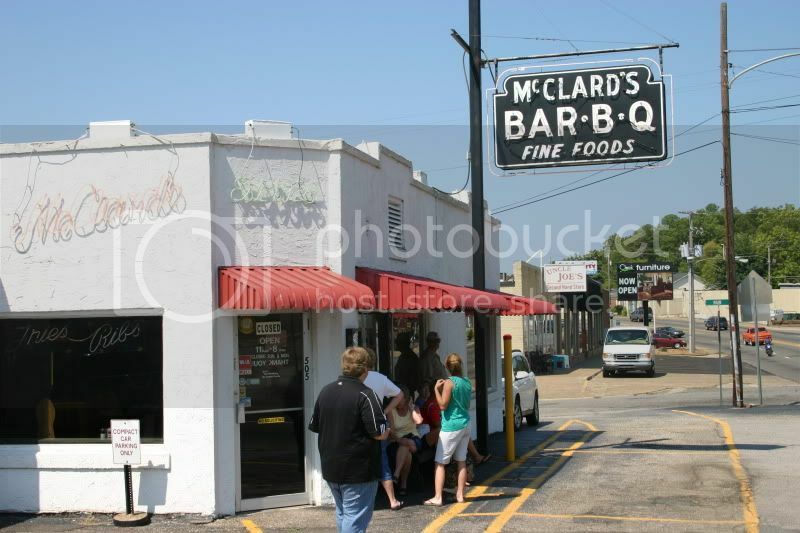 I'd heard good things about McClard's Bar-B-Q, and sure enough when we arrived just before they opened, there were already people waiting outside. 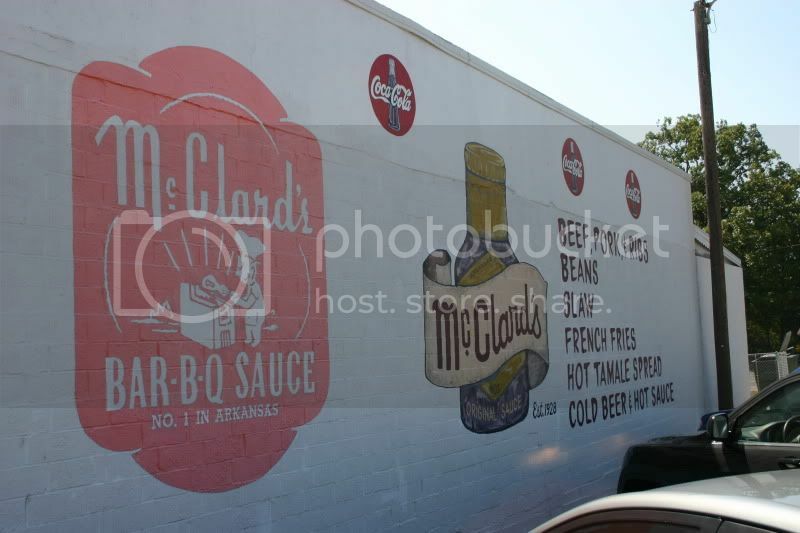 McClard's had that kind of well-worn and comfortable atmosphere that I love in a barbecue joint. It's been open since 1928. 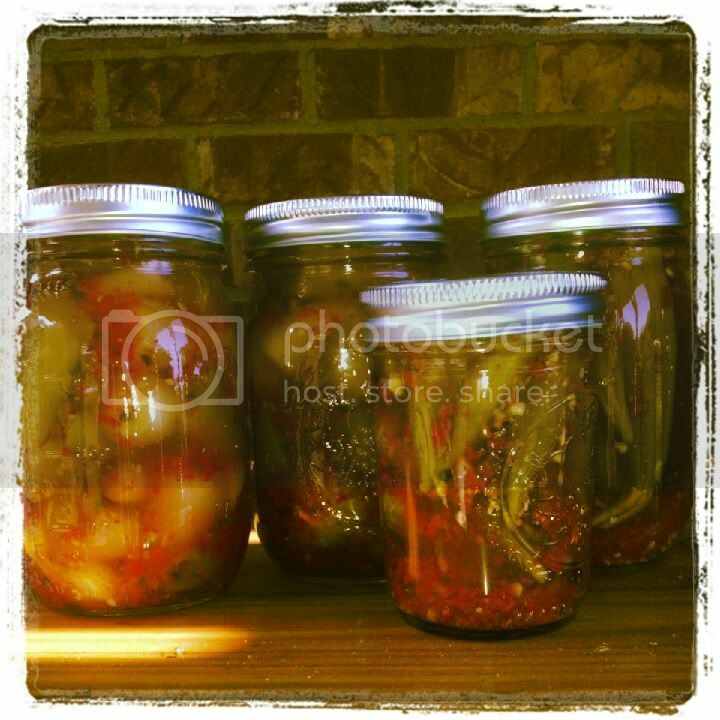 The McClards owned a travel lodge, and when one of their lodgers couldn't afford to pay for his room, he offered them the recipe for "the world's greatest barbecue sauce" as payment. 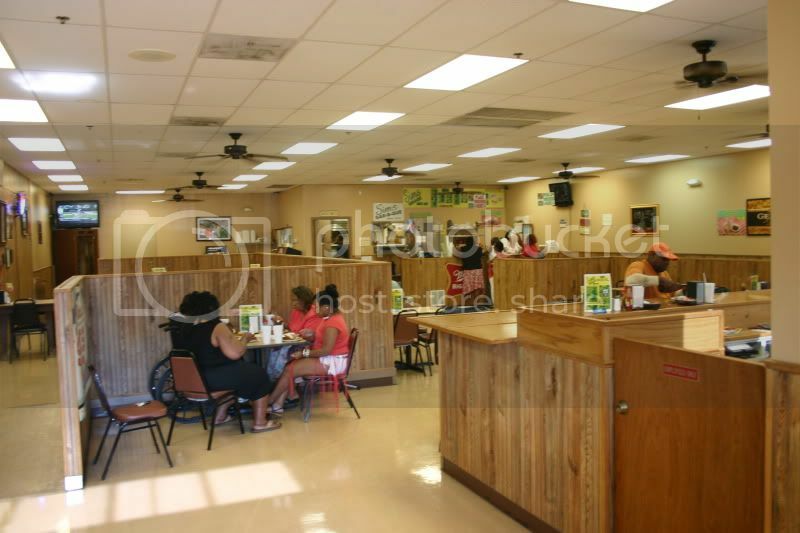 The McClard's took that recipe and opened a barbecue restaurant. The chopped pork sandwich came overflowing with meat and sauce - you've got to dig through some rubble to be able to pick it up. Also, curiously, it comes sliced in half. The pork itself was solid, if not great. It had a lot of well-done bark pieces mixed in, which I like. And it had a nice, simply seasoned, smoky flavor. But the tenderness was a little bit lacking. But that's why barbecue sauce and slaw are such great toppings, right? This sauce was a joy - very tomatoey, but with bright citrus notes, too. The slaw was crunchy and cool and added a rich mayonnaise-y accoutrement. Overall, a nice barbecue sandwich. I apologize for the blurry photo. There will be quite a few in this report that way. 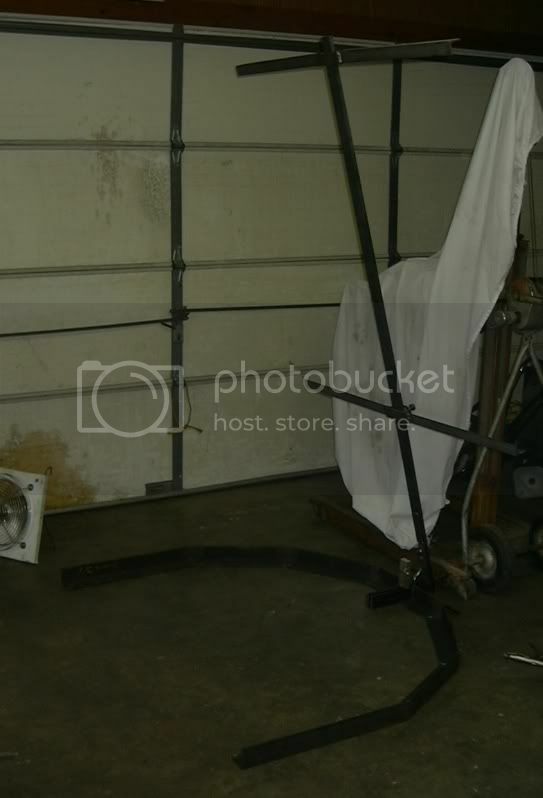 I guess I am out of practice with the 'ol camera. The ribs were big, meaty, untrimmed spares. They were cooked to fall-apart tenderness and were seasoned simply with no sauce. Nice hickory smoke flavor, too. As good as the barbecue was a McClard's, this item right here was the real star. This is what they call a "Spread". 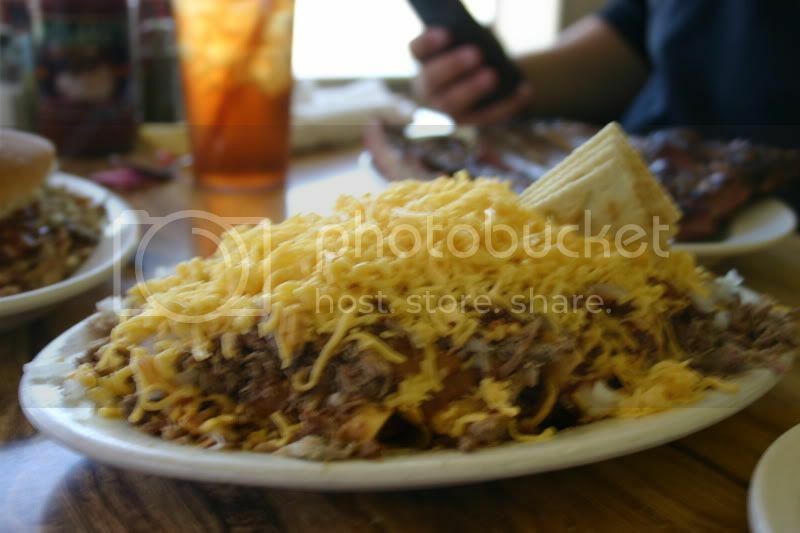 It's a hand-rolled tamale, topped with chopped brisket, beans, barbecue sauce, onions, Fritos, and cheese, and I have dreamed about it every night since I ate it. Okay, not really, but it was really, really good - such a perfect combination of flavors and textures. 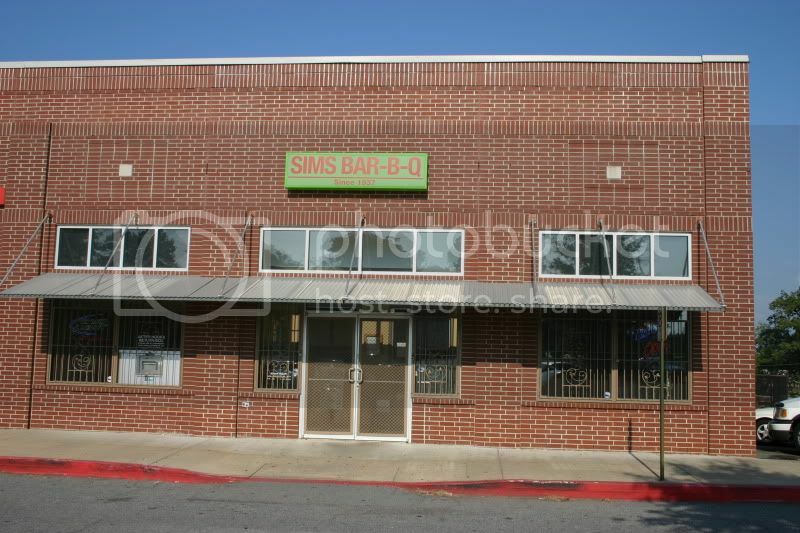 Our next stop was in Little Rock - Sims Bar-B-Q. Sims has been open in the Little Rock area since 1937. Though the original location on 33rd Street has since closed, there are still 3 Sims locations in the city. We visited the Broadway location, which was located at the end of a strip mall. The dining room at Sims was rather spartan, but the service was extremely friendly. 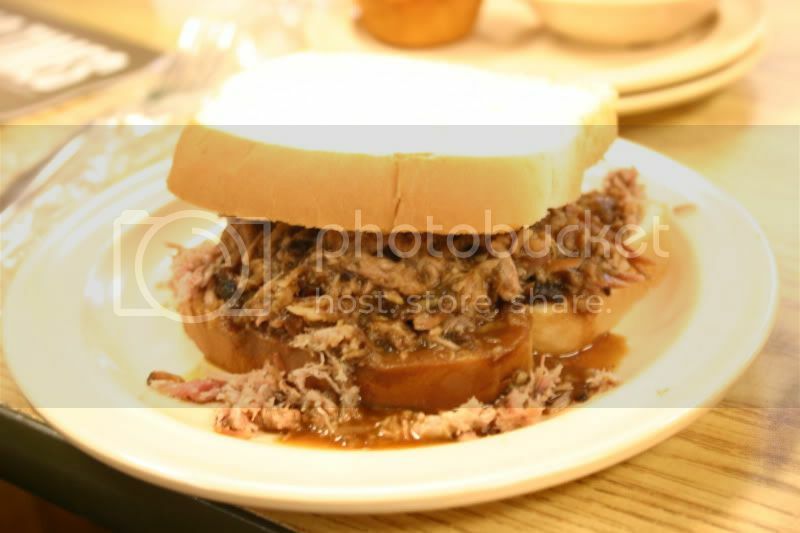 The chopped pork sandwich was very generously stuffed and sauced. The pork was tender, but with some crunchy bark pieces in the mix, too. The sauce was vinegary thin, but slightly sweet - a nice complement for the meat. There was no slaw on this sandwich, and it's interesting that they use sliced bread instead of buns. I always chuckle at the concept of the "rib sandwich". 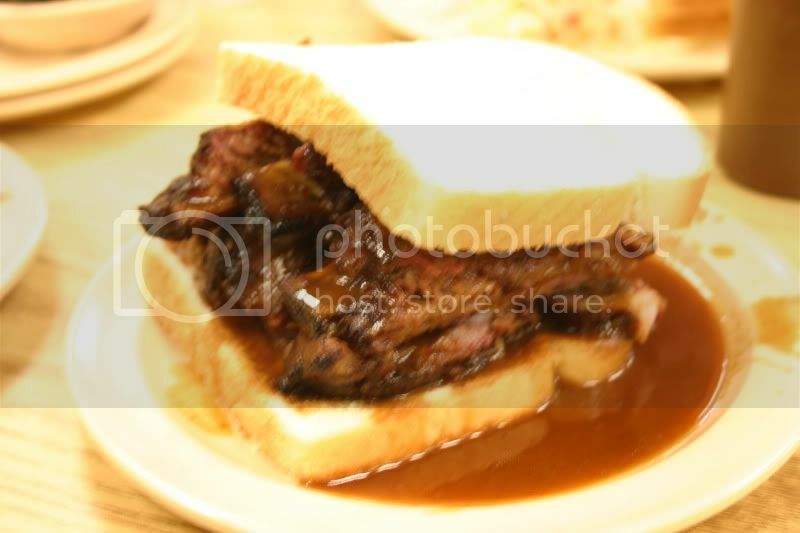 Obviously it's not meant to be eaten like a sandwich - usually the slices of white bread just serve as an absorbent staging area for ribs and sauce. Sims takes it to another level by actually placing the ribs between the slices of bread. There are actually 3 spare ribs on the sandwich - the ribs are cut, with the bone halves on top and the tip halves on bottom. 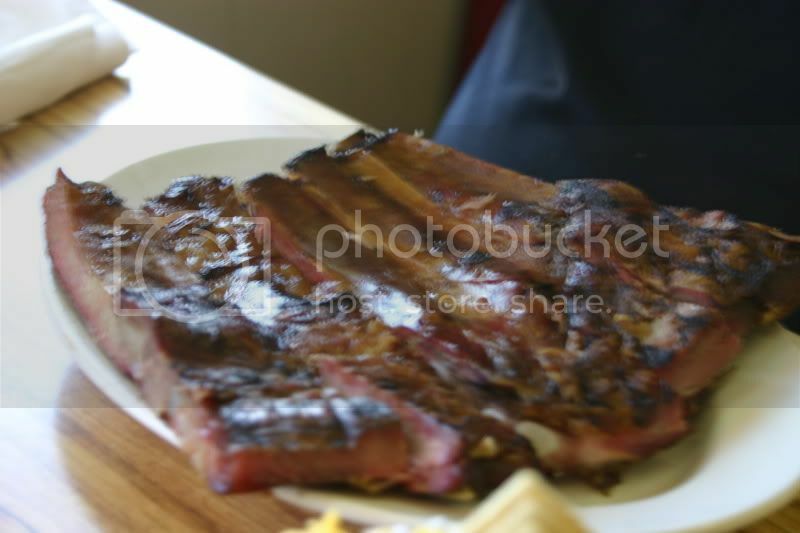 The ribs were very tasty, cooked to a perfect tenderness and simply seasoned. Obviously they weren't stingy with the barbecue sauce! 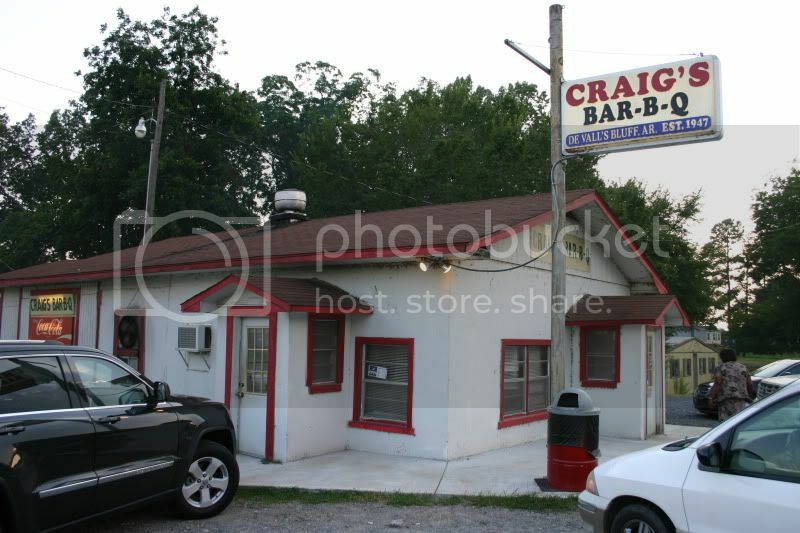 Our final stop was in the tiny town of De Valls Bluff for Craig's Bar-B-Q. Craig's is a dive in the truest (and best) sense of the word. They opened in 1947, and I would venture to guess that the wallpaper has been there from the beginning. They were doing a steady stream of business while we were there, with some people popping in to get a sandwich to go, and other lingering for a while. Sliced pork is the specialty at Craig's. 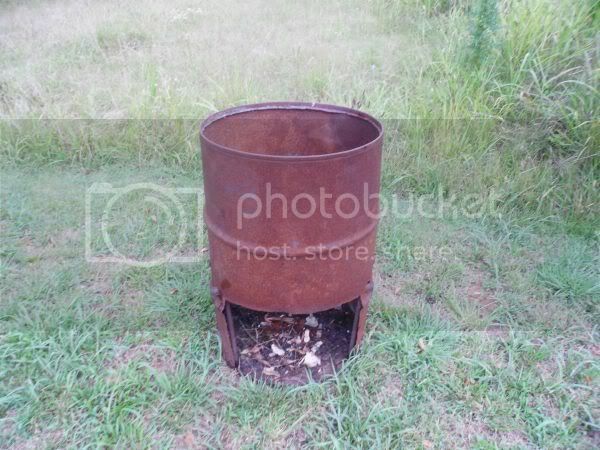 It's not a style of barbecue that I see often. Because it's sliced, it's not cooked to the same tenderness as pulled pork, so it is a bit toothsome. The flavor was good, but the generously applied sauce does most of the talking. The sauce is thinner and not very sweet, but with a tart and slightly savory flavor. 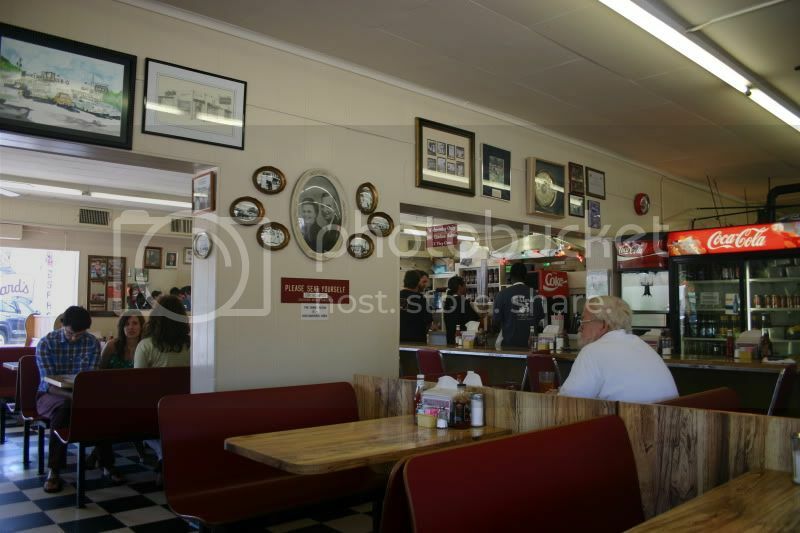 A sandwich seemed to be the most popular vehicle for the sliced pork at Craig's. It's laden with sauce and also topped with slaw. 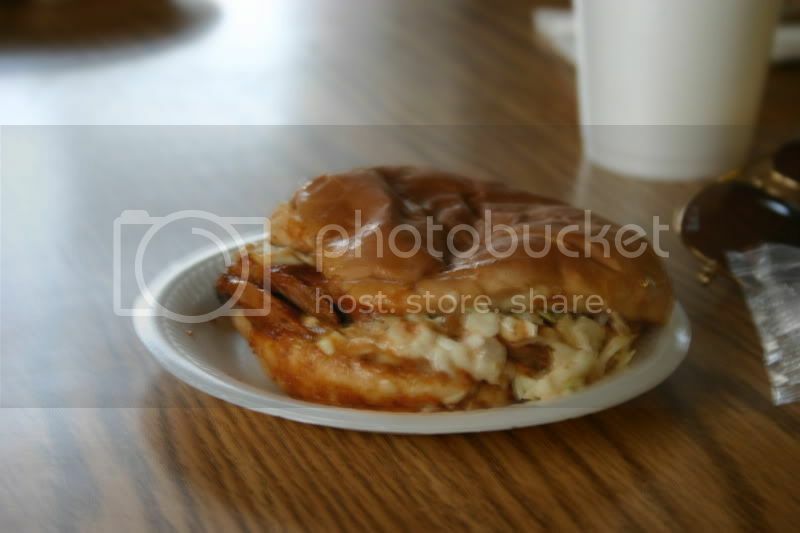 It's a sloppy mess of a sandwich that I would love to have again! Getting closer to cooking that whole hog on the asado. 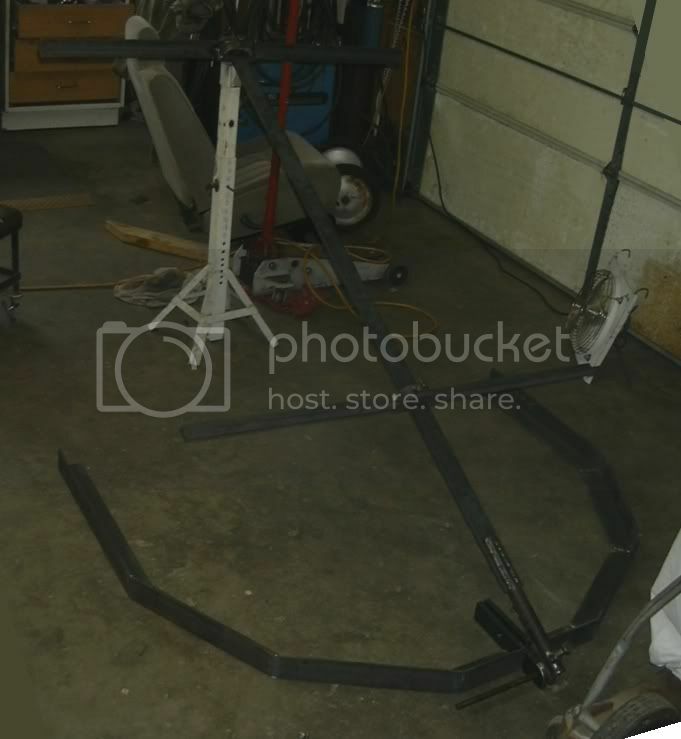 Here are a few pictures of the asado build, and I just picked up this burn barrel to get my coals ready for the fire pit.